With no end in sight to Vancouver’s obsession with craft beer, Ryan Mackey is glad he hopped on the wagon early. Growing up brewing in his basement with his dad, Mackey developed an insatiable passion for craft beer at a young (but legal) age. Now the owner of a company that shares the best of the city’s local breweries with thousands of thirsty clients on an annual basis, Mackey’s love for beer is unwavering. 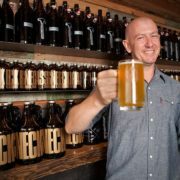 Opening Vancouver Brewery Tours in June 2013, his venture into the world of craft beer began out of admiration for local breweries and the people who work in them. 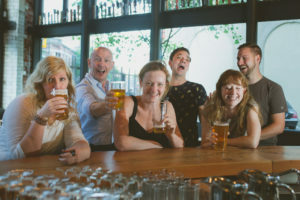 Organizing three-hour tours of some of the city’s most brewery-dense neighbourhoods, Mackey has led locals and out-of-towners alike through tasting adventures, introducing them to styles and brews that are inherently West Coast. 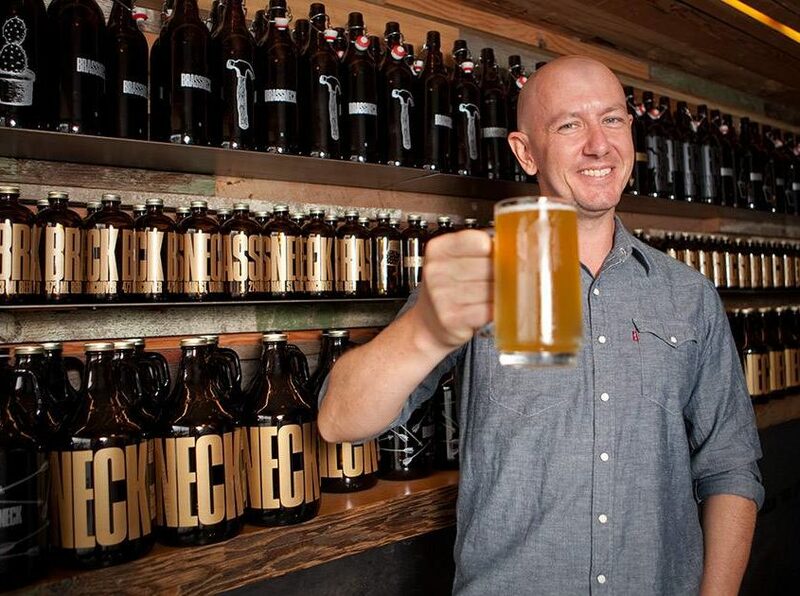 With his next-level knowledge of the local industry, Mackey was happy to share his picks for the best of Vancouver’s craft beer scene. Our Newest Partner – Faculty Brewing! The Vancouver craft beer community continues to grow in 2016 and Vancouver Brewery Tours is pleased to announce we’re partnering with the city’s newest brewery, Faculty Brewing for tours. Located in the Brewery Creek district near Olympic Village, Faculty is owned by Mauricio and Alicia Lozano, a husband and wife team who aims to make craft beer accessible to the masses. The name Faculty comes from Mauricio’s experience as a professor, and his desire to create a space for education and collaboration with the beer community. Mauricio is also their head brewer, and has numbered all beers like university courses with the lower numbers being the most easy drinking beers and higher number representing more complex and flavourful beers. 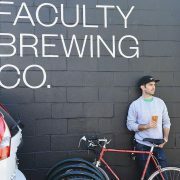 Faculty Brewing is also Vancouver’s first open source brewery meaning they make their recipes available to the public for input by the brewing community in Vancouver. Have a suggestion about one of their beers? Send them a note! We’re looking forward to introducing our guests to Faculty and think you’re going to love their beers, and the super friendly and welcoming environment they’re created. Faculty is available by request for private brewery tours at this time. https://vancouverbrewerytours.com/wp-content/uploads/Faculty-Brewing-outside-the-brewery.jpg 918 960 Ryan Mackey https://vancouverbrewerytours.com/wp-content/uploads/logo-sm-300x60.png Ryan Mackey2016-09-22 11:26:002017-04-06 16:26:26Our Newest Partner - Faculty Brewing! 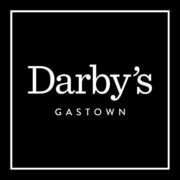 We are excited to share that we are now partnering with Darby’s Gastown. Darby’s is known for it’s Kitsilano location as being one of the top craft beer destinations in Vancouver. Looking for a great spot to finish off your tour with some great bites and craft beer? Our guests enjoy a 10% discount on food post tour. Let us know when you’re setting up your Private Tour that you’d like to make a reservation and we’ll set you up. Check out this article that Operations Coordinator wrote about Darby’s Gastown a few month months back for What’s Brewing BC. Our team also enjoyed a night out there recently and the tap list was fantastic! The BC Ale Trail is the definitive guide to British Columbia’s diverse and dynamic craft beer community. Follow curated Ale Trails to explore breweries and local attractions, enjoying BC’s super, natural wilderness, activities and urban experiences. Launching in October, the BC Ale Trail will showcase the Sunshine Coast, Victoria, Whistler, Nanaimo, Comox Valley, Port Moody and the entire Kootenay Rockies region, offering craft beer lovers a detailed guide to BC’s bounty of world-class ale. 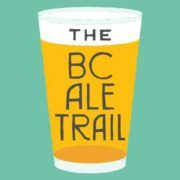 Visit www.bcaletrail.ca to sign up for updates and contests. Questions? Contact info@bcaletrail.ca. 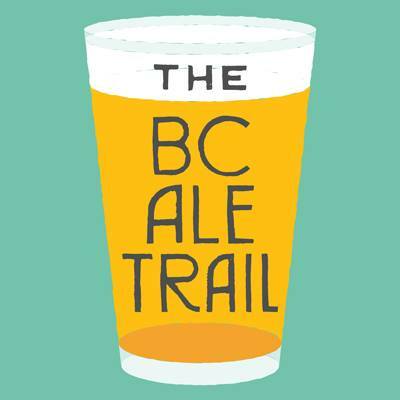 For media enquiries about BC Ale Trail, please email media@bcaletrail.ca.